I left early again from my sleep spot in the field after a very good deep sleep. And then the joys of not having a guide book struck again. I had no idea that this existed until I rounded the corner. I let out an “ooof” kind of sound as I entered the Piazza Duomo. I mean, this thing is incredible. The spikey bits look as though you could throw a stone at them, and they would fall off their stools. Amazing that it has survived. The interior is breathtaking. 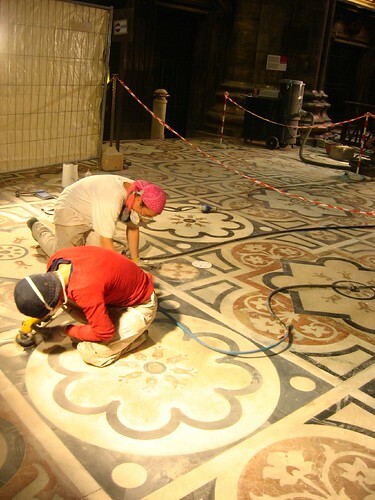 How long it must have taken to carve just the floor pieces I can’t imagine. 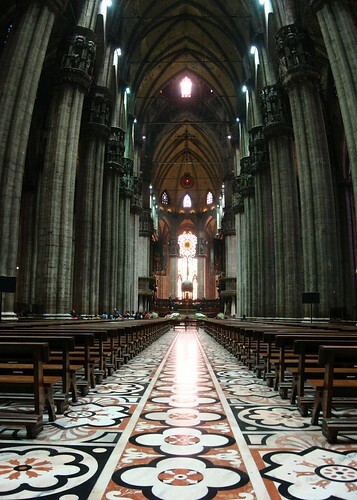 The whole interior and exterior of the Il Duomo di Milano is under refurbishing, but wow. Just wow. Stained glass windows, embalmed bodies of dead priests, what a place. 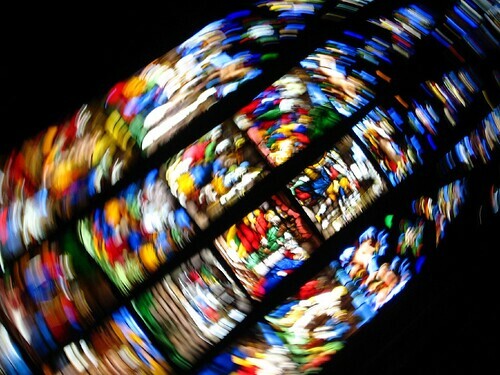 The wonder did not end once outside of the church. The galleria to the north of the Piazza Duomo is like walking though a time machine. If not for all the tourists, you’d think you had walked back in time. The glass roof is enchanting. Earlier in the week, I had received an email from an old aquaitance from my time in Japan. Shirley was doing the same job as me in another small town in southern Japan, as Coordinator for International Relations. She and her husband, Yuri, now live in Serengo, about 20km north of Milano. We arranged to meet up when I passed through the area, and I stayed the night with them tonight. Sleeping in newly plowed fields looks a bit better than sleeping in greveyards, but that could just be me. Never tried either yet. Probably better not to throw stones at the cathederals to test your theory either. "You break it, you bought it" may apply in Italy. To bad you were here in such bad weather. It's been sunny in Slovenia for the last two weeks straight! hi Rob, great to see you making such progress across Italia! i loved that photo of the playground tap. Just wonderful. Interested to hear what you think of Milano, not my favourite of Italian cities, but Piedmont, here you come! and on to Turino! Home of the Fiat! Enjoy! and see if you can find some Barolo wine. Absolute yum! Keep on pedalin… the alps will be in sight pretty soon! 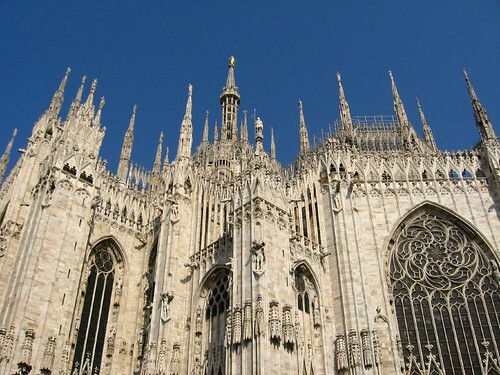 That Duomo was being refurbished when we were there 3 years ago. I think one section or another are always being refurbished. I'll have to remember that bike trail.